Friends of the Clearwater (FOC) was founded in 1987 by Steve Paulson, a native of Idaho and a former Forest Service smoke jumper. Paulson founded FOC as an informal group to monitor Forest Service activities in north-central Idaho. At that time, wildlands were being damaged by increased road-building and clear-cutting. 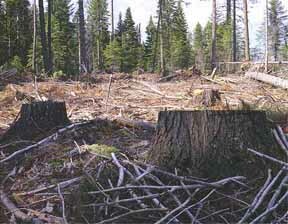 The overall disregard for environmental standards on the National Forests in the Clearwater Basin was evident to the early founders of FOC. In 1996, we became a 501-(c)(3) non-profit organization, and today we continue to be at the forefront of preserving threatened roadless areas, existing wilderness, and native wildlife in the Clearwater bioregion. Friends of the Clearwater is the only organization working specifically to protect the wildlands of north-central Idaho, while educating citizens about public land issues in the Basin. We strive to protect the Nez Perce-Clearwater National Forests, portions of the Idaho Panhandle and Bitterroot National Forests, and scattered public lands administered by the Bureau of Land Management. Friends of the Clearwater works to protect native species such as wolves, grizzly bears, black bears, lynx, wolverines, fishers and pine martens. We advocate for the breaching of the lower four Snake Rivers Dams, and the recovery of wild salmon and steelhead runs in the Clearwater and its tributaries. We work to keep wilderness wild by watchdogging the federal agencies. Participating in the effort to stop the infamous Cove/Mallard Timber Sales in roadless land contiguous to the Frank Church-River of No Return Wilderness. This campaign, which eventually resulted in stopping the majority of the damaging road-building and logging, was a major reason for the Forest Service adopting policies, although still inadequate, to protect the remaining roadless wildlands throughout the national forest system. Successfully preventing logging and road-building in the Fish and Hungery (North Lochsa Face), White Sands, Weitas Creek, Kelly Creek, Pot Mountain, Meadow Creek, and Mallard-Larkins Roadless Areas. Logging was also prevented in roadless land contiguous to the Gospel-Hump Wilderness, which conservationists have proposed for wilderness. Working in coalition with other organizations to protect Canada lynx in the region. Working in coalition with other organizations to convince the US Fish & Wildlife Service to review the wolverine for protection under the Endangered Species Act. Working to keep the unroaded backcountry free of motor vehicles, though much remains to be done. Protecting water quality in the South Fork Clearwater through timber sale appeals and litigation, and appeals on suction dredge mining. Protecting water quality in key tributaries of the North Fork Clearwater from suction dredge mining. Protecting water quality and fish habitat in Lolo Creek through timber sale appeals and litigation, and appeals on suction dredge mining. Successfully working with allies to keep the Wild & Scenic Lochsa and Middle Fork Clearwater Rivers free from becoming an industrial corridor. Working to recover native gray wolves throughout the wild Clearwater bioregion. List of who we work with.